Since moving into our new house on the 10th April, we’ve had to do a total makeover in just over a month to ensure we have everything completed for when our baby arrived on the 17th May. The house we moved into was not at all in a bad state, but we just needed to personalise it to our needs with three young children and make it work for us. The first thing we did was redecorate and recarpet, which took us just over two weeks (with the help of a decorator), but for me, the big thing to redo was the kitchen. 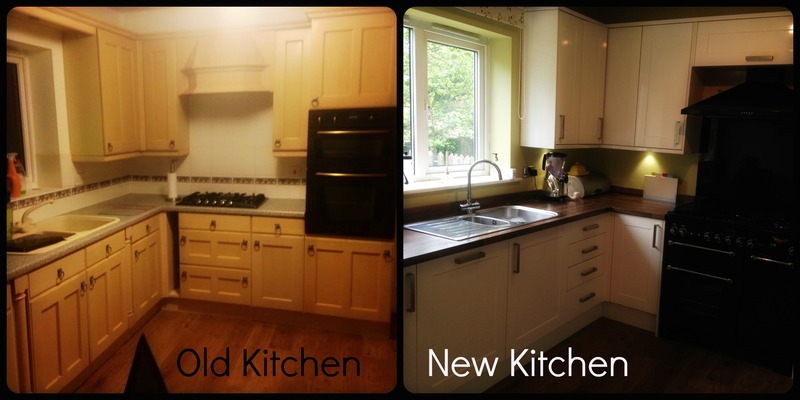 As a mum, the kitchen is the heart of the house, and the existing one just wasn’t meeting our needs at all. It was clean but outdated, and so we called on Michael Gration from MDG Construction to help us out in ultra quick time! 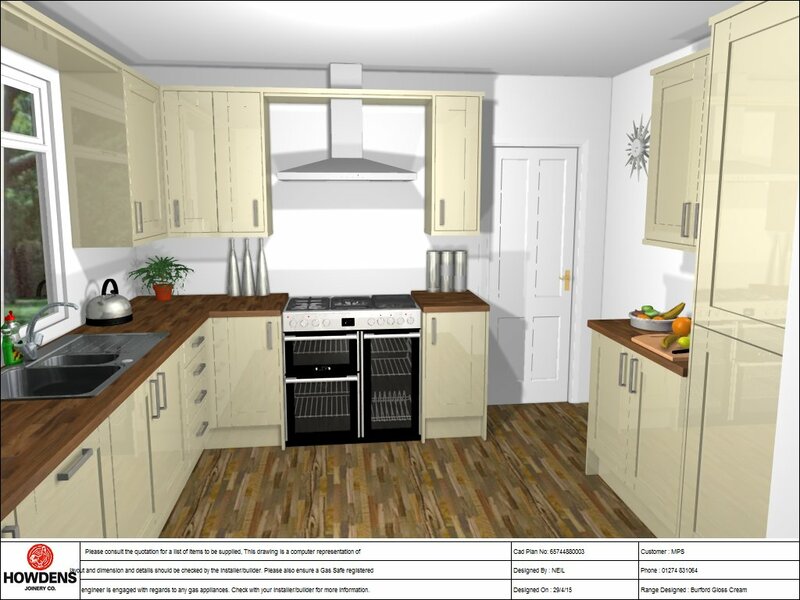 Michael was good enough to do some juggling and fit in our kitchen “rebrand” the week after we contacted him, and best of all, since we had already decided to go with a Howden’s kitchen, he knows their units and ways of working like the back of his hand. 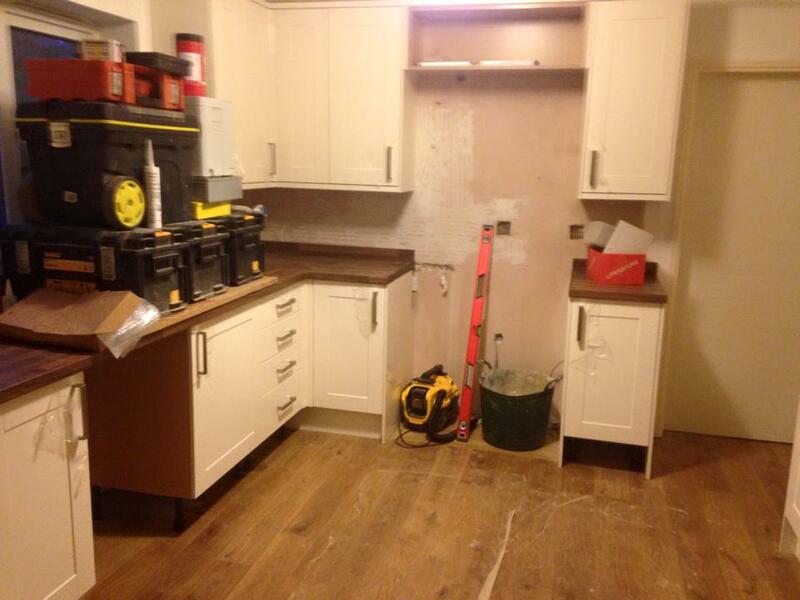 After two days the kitchen was already taking shape. 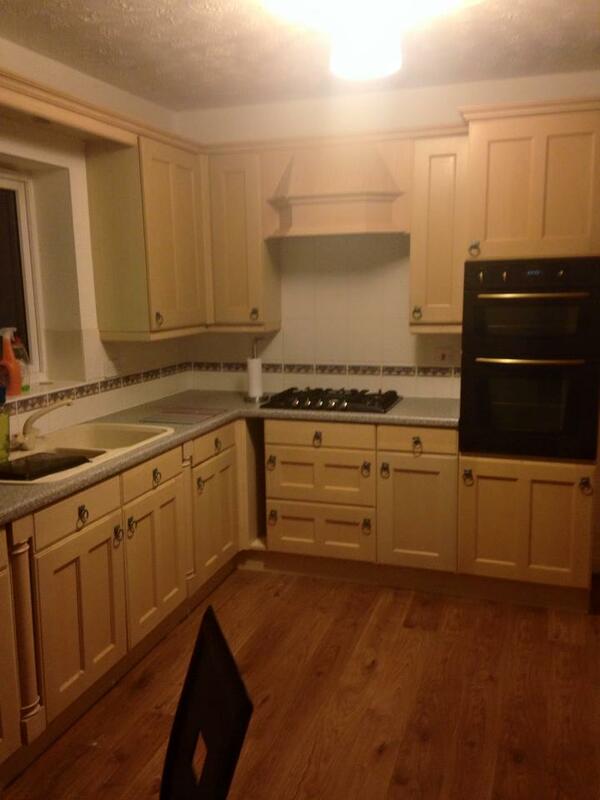 Then after four days we had a fully functioning kitchen. 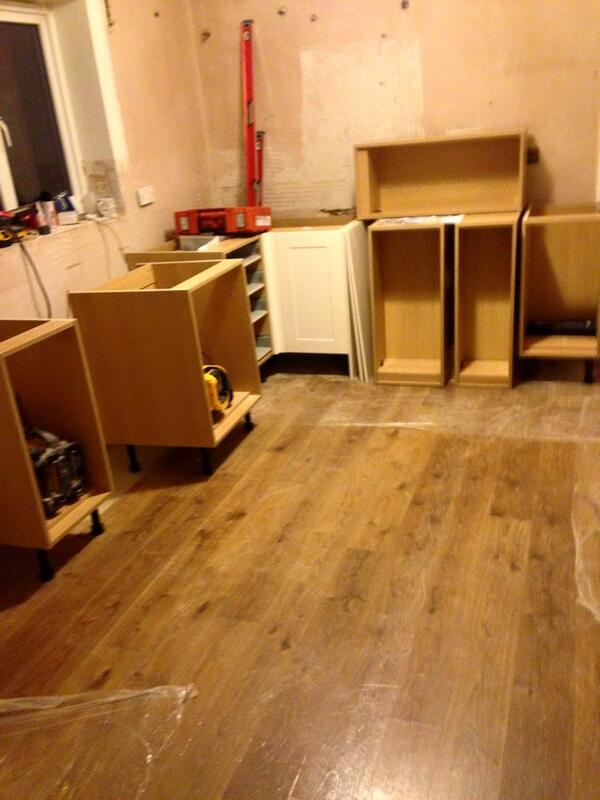 Michael also fitted under cupboard lights and devised an ingenious way of disguising the extractor pipe. I went to Aire Valley Decorating Centre in Keighley and asked the guys there to mix me some Farrow and Ball-esque kitchen paint in Churlish Green for a fraction of the cost of Farrow and Ball paint. 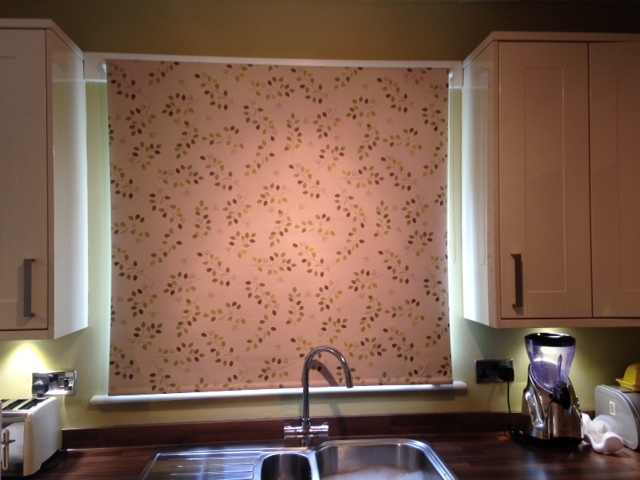 Then to finish the look, Michael installed chrome light and electrical fittings and we found these lovely blinds. 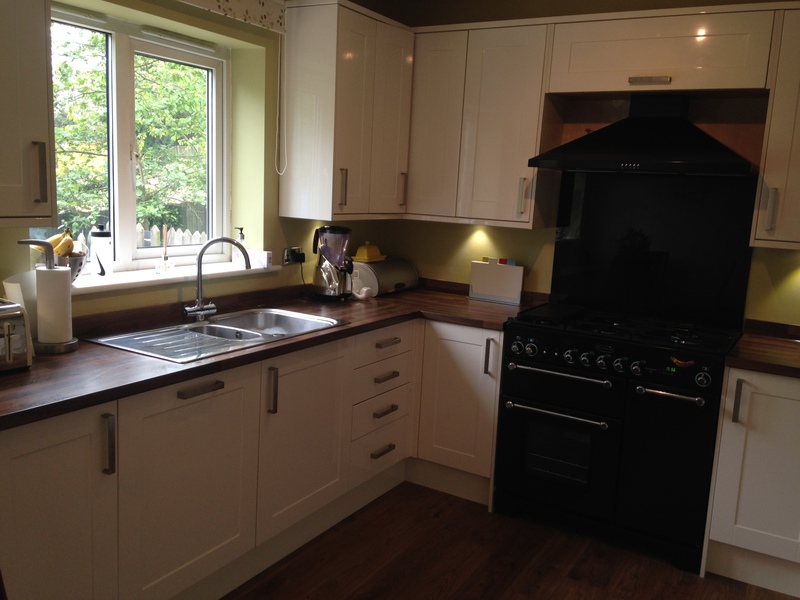 Kitchen – Burford Cream Gloss from Howdens. 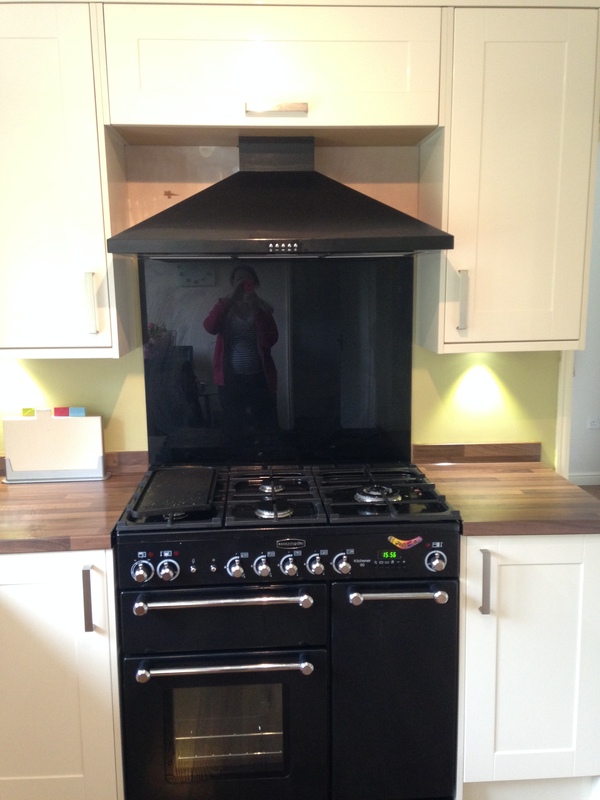 Extractor and splashback – Howdens. 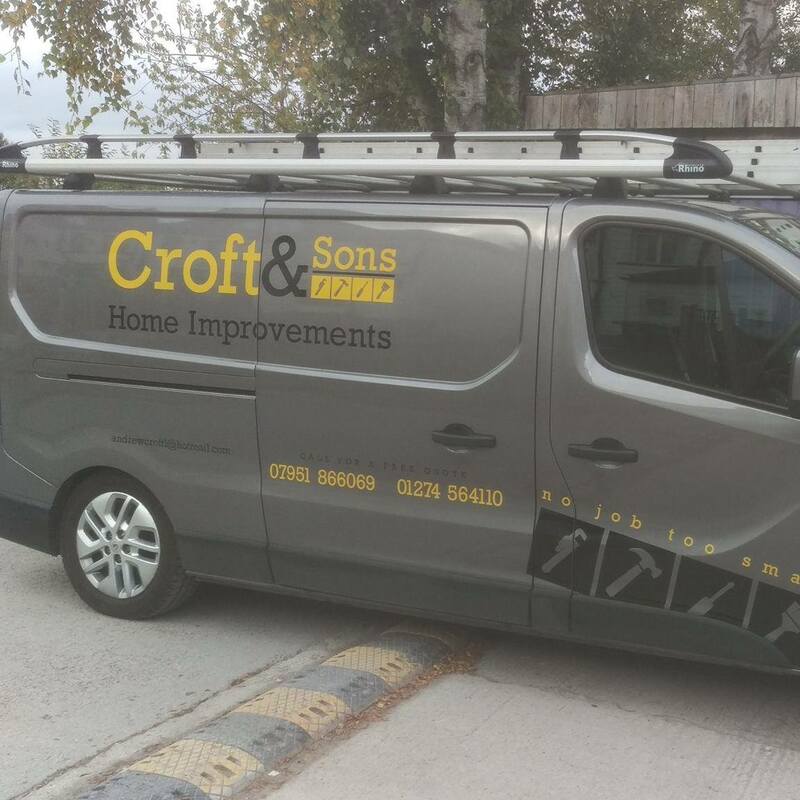 To contact Michael for a quote on all manner of house makeovers and building work either email him on michael@mdgconstruction.co.uk, call him on 07828 589840 or 01274 566840. 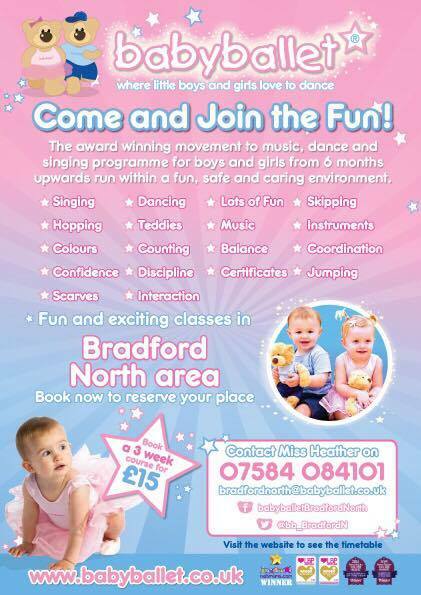 I really recommend him and his team, they are really easy to talk to and also great with kids running around the place!